The men and women that build Cactus Products work hard, so that our products work hard for you. Cactus Flow Chokes are available in a wide array of materials and suitable for various applications. 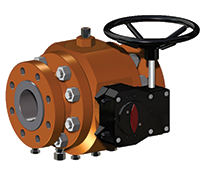 Our positive and adjustable chokes cover pressures ranging from 2,000 – 15,000 NSCWP. 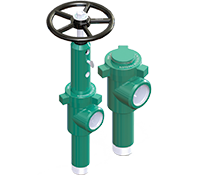 Our first pig valves were designed and manufactured in 1996. Since then engineering has continued to improve and expand upon the original design. 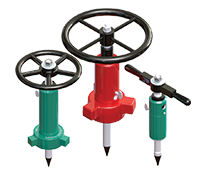 Today, TPV's pig valve users benefit from the addition of numerous features. With a multitude of choke profiles and manufacturers it can be frustrating and difficult to locate the parts you need. But, at Cactus we take pride in keeping all styles and configurations for our customers. Have a question? No problem! Our service team can help with any of your questions. Cactus Flow's product engineers design and innovate products that are built to last. Unlike many manufacturers, we take pride in keeping ample inventory on hand. At Cactus Flow, we believe in service done right. That's why we aim to ship same-day.